When the case is of gaming, PC gaming has always been on the driving seat. As compared to its counterpart mobile gaming, PC gaming has always been the favourite of gamers. Consider bigger screens, or better experience or easy controls, these reasons give PC gaming the upper hand. And when we’re talking about PC gaming, choosing the best option is most important. You’ll take an Intex desktop and play CS:Go, and then you’ll complain that you’re not getting the best experience, that’s not okay! So, PC gaming needs a wise choice of the desktop and it’s partners. With awesome desktops for gaming being released every week, it’s really difficult to choose the best among those. 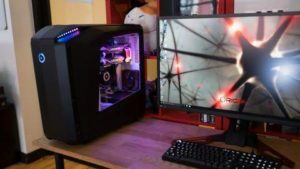 Still, here are the TOP 7 Gaming PCs which will enhance your gaming experience, and take it to a whole new level. Like the name, the PC is pretty stylish too , giving you the feeling of some sort of alien-tech. In simple words, it’s a collection of all advanced PC parts in a perfect sized frame. With a big price tag, thus piece has some good things to offer. 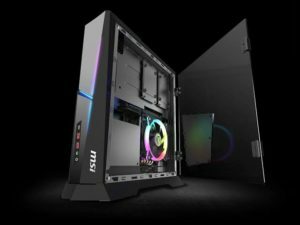 As of processor, it is powered by Intel Core i5 or i7, depending in your choice, with the graphics department led by the duo of NVidia GeForce GTX 1050 Ti or 1080 and AMD Radeon RX 580 – Vega 64. Coming to RAM, it has a choice to offer between 8 GB to 32 GB and a storage of a massive 1TB NVMe SSD or 1 TB to 2 TB HDD. Enough right? Well, it had a few things to complain about it, but it has more pros in it. You may have seen many 4K desktops, but this one is a 4K as well as Virtual Reality ready. Yes, it is VR-ready indeed! Power packed with a Intel Core i7-7700 processor, it has a graphics lead of NVidia GeForce GTX 1060 – 1080 . Talking about RAM, it provides you with a 16 GB RAM and has storage space of 128 GB – 512 GB SSD or 2 TB HDD. Now, coming to its demerits, it has a lot of ports, which are enough for you to get confused of the connections. And may be for some it’s a bit expensive. Big blast in a small package. 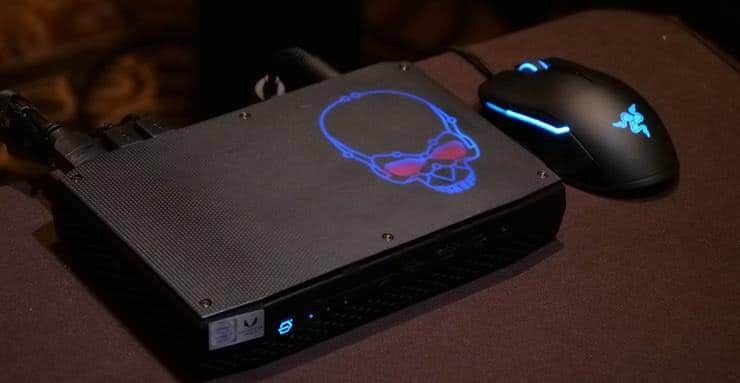 You want a small, compact but a powerful piece of gaming machine, then the Canyon NUC is for you. It’s the size of a set top box and doesn’t look like a gaming PC anyway. No wait! It’s just small in size, in performance it’s above par. Powered by the 8th generation Intel Core i7-8809G, it has graphics of both Radeon RX Vega M GH graphics (4GB HBM2 VRAM) and Intel UHD Graphics 630, really big! And another fact is that, you get to choose your own RAM and storage limit. Well, not much to say in favour of this one. Is in the list because of its processor and power. This one will take you to new levels in case of both performance as well as money. 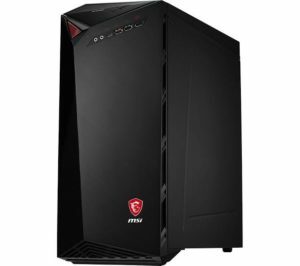 Powered by either Intel Core i3 – i9 or AMD Ryzen 3 – Threadripper, this gives it a lot more gaming power, with the graphics department including either NVidia GeForce GTX 1050 Ti – 1080 Ti or AMD Radeon Vega 64. The RAM quantity is 8 GB to 64 GB DDR4, with storage being 128 GB – 2 TB SSD or a massive 1 TB – 8 TB HDD. But, it will cost you a big fortune! When it’s about power, The Threadripper Edition is off limits. Extremely powerful due to the AMD Ryzen Threadripper 1950X processor, it has graphics from NVidia GeForce GTX in two versions, the 1060 Ti or 1080 Ti. It is in its basic triad design, but had more enhanced power. The RAM ranges from 8 GB to 32 GB and storage space is a whopping 1 TB SSD or 2 TB HDD. A nice cooling tech aids your experience. In words, thus is insane, and gives you out of the world experience. Well, a bit heavy priced, but trust me, if you buy this, you won’t regret. Powered by the Intel Core i7-9700K processor, with graphics from NVidia GeForce RTX 2080, this one is undoubtedly better than One Elite. Yeah, better RAM and storage as well. With a RAM of 32 GB and 512 GB of SSD or 2 TB of HDD storage, what’s more to expect? But wait! Special mention is about the built quality. It’s not that good to be handled carelessly or carried around. Apart from that and the price, you play any game of any resolution, it will bash everything. 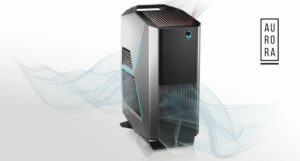 Those are experienced in PC gaming know that Corsair has made a big name in the market of desktop and its accessories. So seeing a Corsair PC on the list isn’t a big deal. 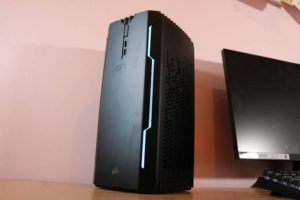 This one is the Corsair One Elite, a huge improvement and upgrade of the Corsair One. It has a mind blowing processor, the Intel Core i7-8700K and the graphics team is led by NVidia GeForce 1080 Ti. With a RAM expanding from 16 GB to 32 GB and storage of 480 GB SSD or 2 TB HDD, this one offers you a great cooling tech as well. But, go fir it only if you have a high, very high budget, because it’s expensive, much more than its competitors. 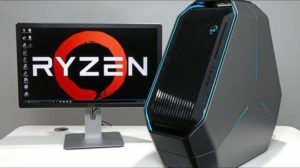 So here are these gaming PCs best for gaming business. Hope these help you out!